Well things can begin to get back to normal. The election is over, the Phils won the World Series and all the celebrations are over. It has been about 10 days since the MCM and I feel pretty good. Some soreness in my one leg but overall I feel good. I am back to some short runs anywhere from 25-35 minutes. It is nice to get out and just run to run. The rest of the season is wide open I may do the Devon Prep challenge on the Sat after Thanksgiving and Brian's run on Dec 7th. These are not set in stone. You may be wondering what I titles this post 2000? Well I broke 2000 miles running for the year. I though it was quite a feat. My racing schedule for next year is beginning to take shape. 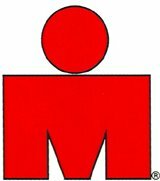 I have the Boston Marathon in April and I am doing the Philly OLY triathlon in June and not sure about late summer/fall yet. The MCM has a video of the entire finish. You can click here. I am around 259:35-45. I have my famous yellow hat on. I have made a clip of me crossing the line. The quality is not that good but you can see my finish.